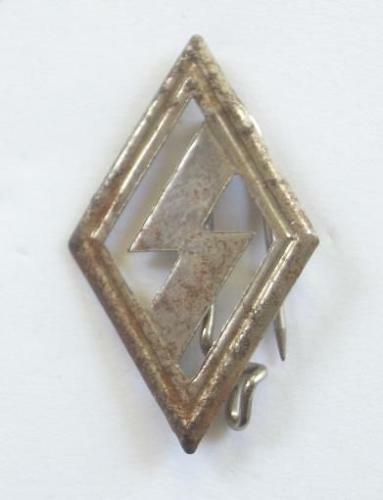 German Third Reich DJ member's badge. Plated tin example on pinback. Single rune in diamond.